I only met Becky once when she was still a cadet, and the West Point Glee Club came to my hometown church in Winchester, VA to give a concert. 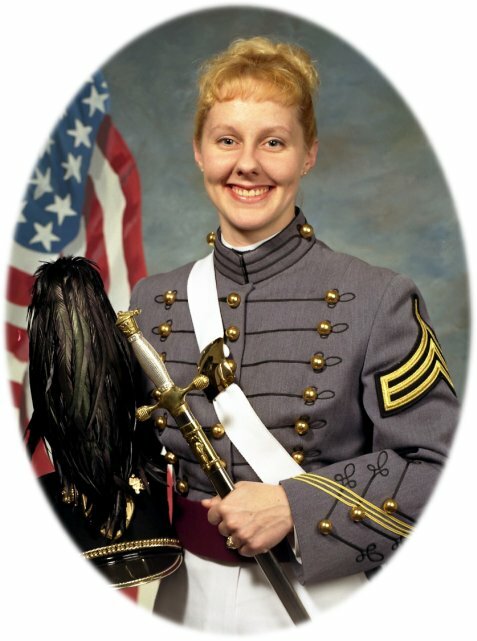 When I saw her memorial article in TAPS, I knew who she was. I posted a memorial, and noted that her mother always posted a birthday and Christmas note to her with every passing year. I knew from this how much her mother loved her and missed her. Although I have lived in Mexico for five years, I have visited Becky's memorial site many times. I have learned that her mother Myrlynn, died earlier this month, July 2010. May she rest in peace. May her family know that many of us have wished the same for Becky since she has left us. God bless them both.